On behalf of his entire team, Dr. Jay L. Schwartz welcomes you to Schwartz Laser Eye Center, a full-service ophthalmology practice offering the latest in refractive surgery and general eye care. We are confident that we can take care of all of your ophthalmology needs, as well as the needs of your family. Whether you are looking for a solution to nearsightedness, farsightedness, astigmatism, presbyopia, cataracts, keratoconus or a similar condition, we can help. With sharper vision, you can focus on what’s truly important in life — without the hassle of contact lenses or glasses. Schwartz Laser Eye Center now offers the ultimate in advanced LASIK technology and a full suite of surgical laser procedures to help you improve your vision and change the quality of your life. Similar in structure to a contact lens, the KAMRA corneal inlay is a solution for presbyopia — the decline of quality near vision most people develop in their 40s or 50s. Dr. Jay L. Schwartz is one of the most trusted and in-demand refractive surgeons in the entire Valley. 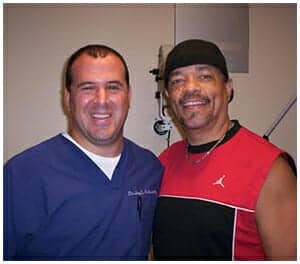 Tens of thousands of Phoenicians have trusted him with their LASIK laser vision correction, including some of our area’s most elite professional athletes. Dr. Schwartz is the official ophthalmologist for the Phoenix Suns, Arizona Diamondbacks, world-champion Phoenix Mercury and the Arizona Coyotes. As a hub of spring training programs, Dr. Schwartz and his team of professionals spend time every spring with numerous professional baseball teams, sharpening their vision and preparing them for the upcoming season. Dr. Schwartz is also a leading cataract surgeon that offers a broad range of advanced intraocular lenses, including ReSTOR, Crystalens and Tecnis multifocal lenses. He and his team help every cataract patient select the IOL that best suits their unique needs and goals. Dr. Schwartz also works with a team of talented and compassionate optometrists that provide comprehensive optometric care. The team is comprised of Dr. Marc Bloomenstein, Dr. Kevin M. Donausky and Dr. Kristi Rhodes.